This is a rectangular Robot Aligning porcelain sign. This particular Robot Aligning sign is white with black and blue text. 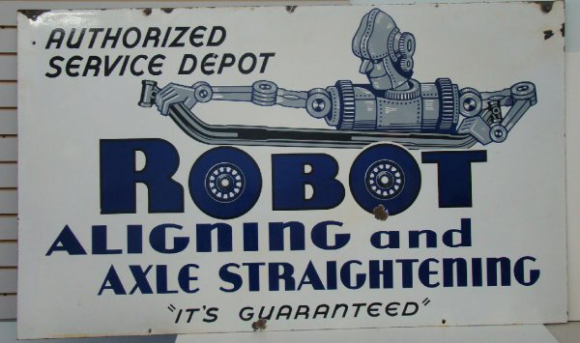 It reads, “Robot Aligning and Axle Straightening, Authorized Service Depot, It’s Guaranteed” and features a silver robot stretching out an axle in the center.